Professional Pet Stop Dog Fence Co. in The Bay Area - Dog Fence Installation and Service, Pet Stop Invisible fences in sonoma, Marin, Napa, East bay and the Peninsula. 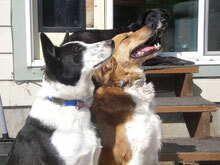 Two Bay Area Pet Professionals to meet all your Dog Fence needs. 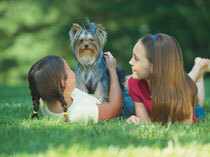 We are a leading Pet Containment company servicing The San Francisco Bay Area. 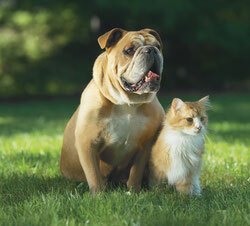 We have been installing and servicing pet containment systems since 1994. We have the experience, knowledge and professional quality products to offer our customers. We chose the Pet Stop® brand of underground/electronic dog fences and cat fences because Pet Stop® is commited to continuous research and development of its electronic fencing products, applying cutting-edge, reliable technology to create the most advanced, highly-effective safe pet containment system available. We service ALL BRANDS of electronic pet fences which are also known as electronic fence, invisible fence, hidden fence, underground fence, and pet containment systems. Bay Area Pet Fence provides direct manufacturer warranties only on Pet Stop® brand electronic fence products and is not affiliated with any pet containment manufacturer other than Pet Stop®. Bay Area Pet Fence sells and or services all other brands of pet containment including Invisible Fence® , PetSafe®, Radio Fence®, Underground Pet Fencing Co, Innotek®, Smart Dog® Dog Watch®, Pet Guardian® and others as an independent contractor. We provide product upgrades, exchanges, trade-ins and replacements. Ask us about our special trade in pricing for Invisible Fence® or these other brands of electric pet fence systems.